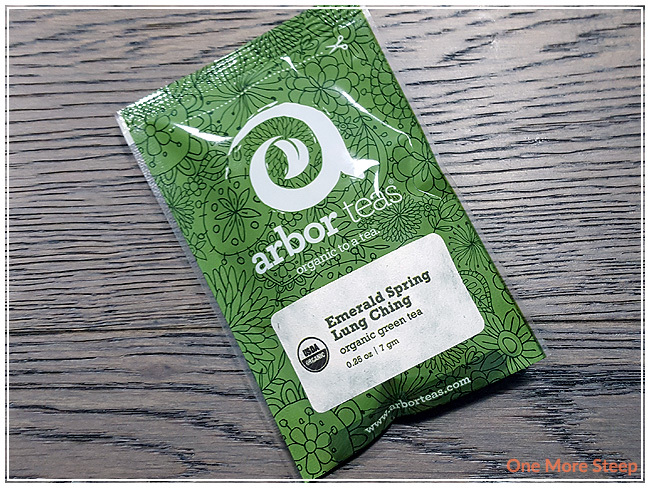 Arbor Teas has provided me with Emerald Spring Lung Ching for the purposes of providing an honest review. I received this product at no charge to me and received no other compensation. I love a good Dragon Well, so I was pleased when Arbor Teas sent me a sample of their Emerald Spring Lung Ching to try. As mentioned in my earlier reviews of teas from Arbor Teas, they pride themselves on being organic as well as being environmentally friendly. I haven’t tested how quickly the packaging can decompose, but they do have a nifty video about how they went on the hunt for environment friendly packaging, stickers, and adhesives. 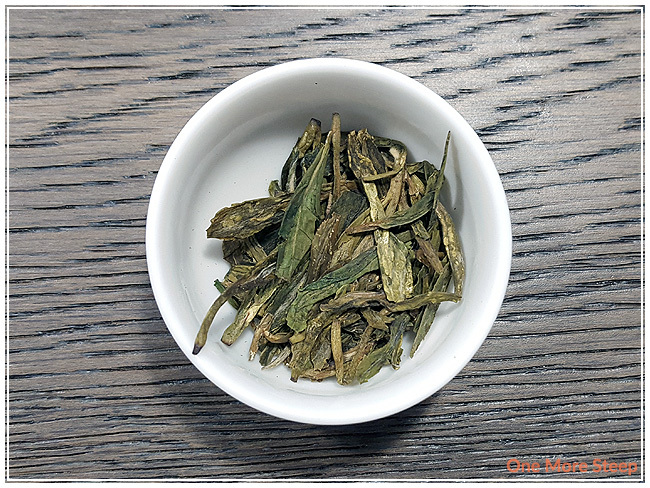 The dry leaf of Emerald Spring Lung Ching has a very mild aroma. It smells floral to me, with a light sweetness. The flat leaves are beautiful, and I’m looking forward to steeping (and resteeping!) this green tea. Emerald Spring Lung Ching consists only of organic Chinese green tea so what you see is what you get. Did you know? Dragon Well is the direct English translation for Lung Ching or Longjing. Long is dragon and jing is well. Arbor Teas recommends steeping Emerald Spring Lung Ching in 180°F (82°C) water for 2-3 minutes. I steeped mine in 175°F water for 3 minutes (my Breville IQ Kettle has temperature settings for 175°F and 185°F, but not 180°F). Emerald Spring Lung Ching has a very soft aroma to it, it’s not overwhelming to the senses. This green tea steeps to a very pale yellow which is lovely to look at. 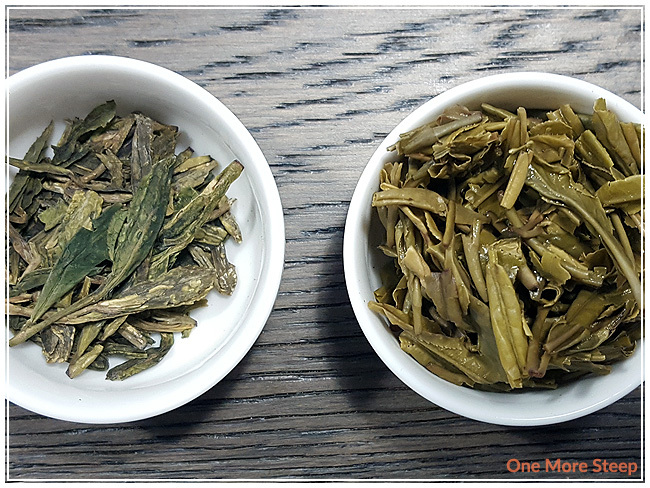 I found that with the initial steep, Emerald Spring Lung Ching is a very pleasant cup of green tea. 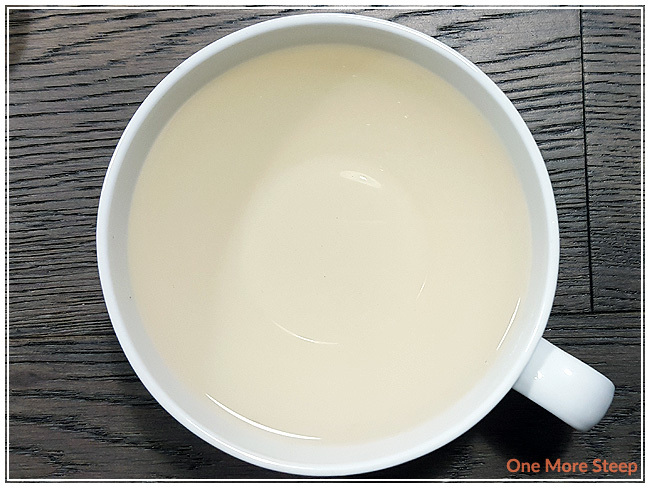 There’s no bitterness or astringency to note, there’s a buttery quality to this tea that is smooth and light floral notes. Because of the floral notes, there’s some sweetness to this tea that make it enjoyable. I resteeped Emerald Spring Lung Ching a total of four times. The colour gets to be a darker, more golden yellow with the subsequent steeps. There’s an increase in the creamy butter quality that makes this tea delicious. It reminds me a lot of some oolongs as sometimes oolongs can have a great buttery quality to it. The floral sweetness gets to be the strongest by the second resteep, and starts to lessen in intensity. As per my usual, when I resteep teas I added an extra 30 seconds in steep time for each subsequent resteep. 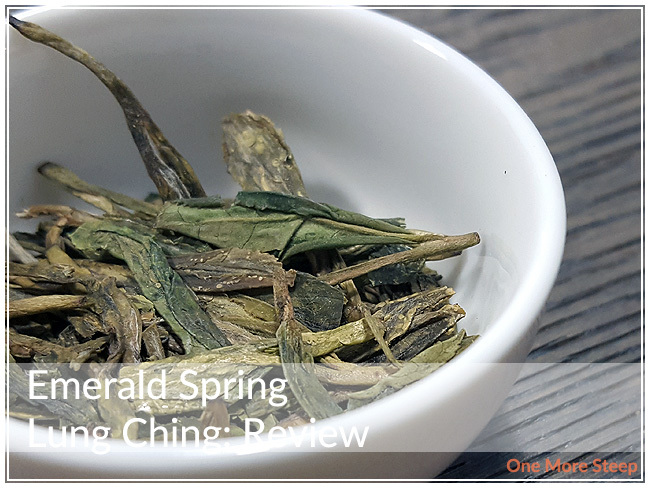 I loved Arbor Tea’s Emerald Spring Lung Ching. I found this green tea to be delicious. It lacks the seaweed/vegetal flavours that a lot of green teas have, which I did appreciate as I think that it wouldn’t have balanced well with the natural butter and floral flavours in this straight green tea. This dragon well resteeps well, and I really enjoyed having this tea throughout the afternoon. I loved that it had a natural sweetness to it, since I tend to like sweets in general.